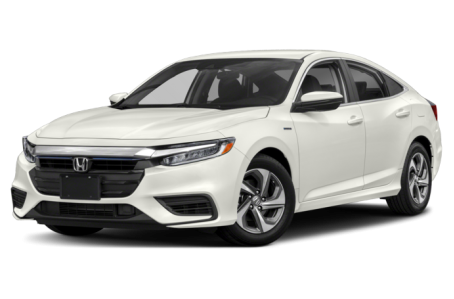 The 2019 Honda Insight returns as an all-new, compact sedan after a five-year absence. It is set to compete against the Toyota Prius. It features a three-mode drive system with ECON, Sport, and EV selections. Three trims are available: LX, EX, and Touring. It is powered by a combined 129-hp, 1.5-liter four-cylinder engine and an electric motor mated to an electronically controlled variable transmission and front-wheel drive. Fuel economy for the Insight is an EPA-estimated rating of 49/55 mpg city/highway.